Asherah’s in the news again. My book on the old girl safely moldering on obscure library shelves, I figure it is my academic duty to be a staid voice of reason on the subject. The jury’s still out on her status as Yahweh’s wife – no wedding pictures have yet surfaced – and her associations with lions and snakes have always been suspect. It is clear, from the Bible’s perspective anyway, that the physical object called by the goddess’s name was made of wood. Although such a slight association does not a tree-goddess make, it nevertheless runs counter to scholarly orthodoxy to suggest otherwise. In the Rabbinic period it had become clear that just about any tree in the right location could serve as an asherah. So it was with a double-take that I looked at the cover of my Green Bible. I began using the Green Bible a couple of years ago because of the environmental impact of the millions of Bibles printed annually. Best estimates are that about six billion Bibles have been printed (about half of which have been sent to me by various vendors as textbook options) and I was hoping to at least use a recycled book to ease the burden. 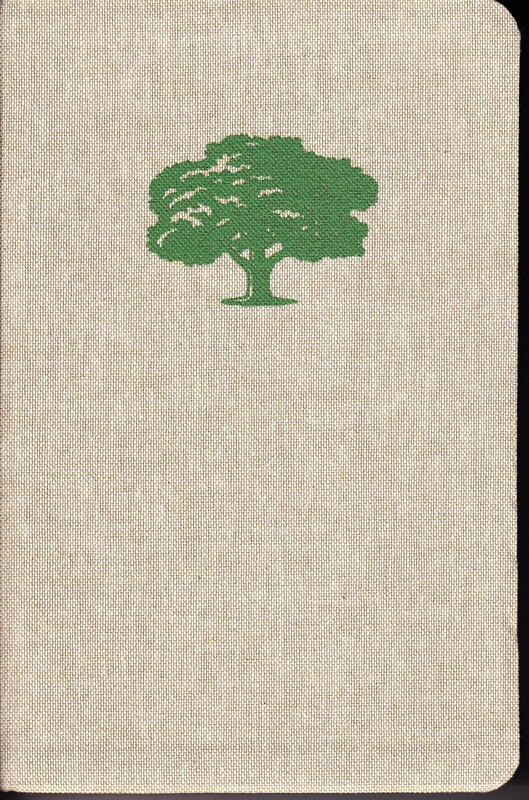 Then yesterday it clicked for the first time: the Green Bible has a tree on its recycled cover. Asherah seems to have had the last laugh. If she was a tree-goddess. The fact remains that Asherah is a difficult goddess to qualify. She may have been associated with trees, or lions, or snakes, or wisdom, but none of these things has been proven beyond reasonable doubt. She was, however, the spouse of the high god El among the people of ancient Ugarit. And the Israelites accepted without qualm that El was essentially the same as Yahweh. Did he bring his former spouse along? We don’t know. Asherah, as her own person nevertheless, is a wonderful example of the feminine divine. Too bad she doesn’t have her own book. God's wife on the cover of his book? “They heard the sound of Yahweh God walking in the garden at the time of the evening breeze, and the man and his woman hid themselves from the presence of Yahweh God among the trees of the garden.” That’s what the verse says. Perhaps it is just one of the dangers of a literalist upbringing, but when I saw the above ad in today’s newspaper I automatically took it as a scriptural reference. There were, however, no books of Accent, Elantra, or Santa Fe (the last nevertheless being named after a saint). Genesis has become a secular word. In fact, all words are secular, but many have been co-opted by their biblical context. Every year I ask my students what Genesis is about. Every year the first answer is “creation.” This is, naturally, incorrect. Genesis is the story of Israel’s ancestors. 39 of the 50 chapters in the book are concerned with Abraham, Isaac, Jacob, and Joseph. The creation takes up only three chapters at the beginning. It is the Bible’s “once upon a time,” not the whole story. In an over-stimulated society, however, glib responses are mandatory. Genesis means creation and let’s just tell our kids about intelligent design and evolution and let them make up their own minds – I’ve got an important text to respond to! How far the Bible has fallen! “Genesis” is a Greek translation of the very roughly “in the beginning” (translation issues abound here, but I’m just trying to make a point) in Hebrew that opens the book of Genesis. It was the convention in olden days to entitle books after their incipits; all fairy tales would have been titled “A Long Time Ago” under this rubric. And yet we are perfectly content, in the context of a “Christian nation” to go about misunderstanding the Bible from the very beginning. The Bible need not be understood as long as it can be thumped. 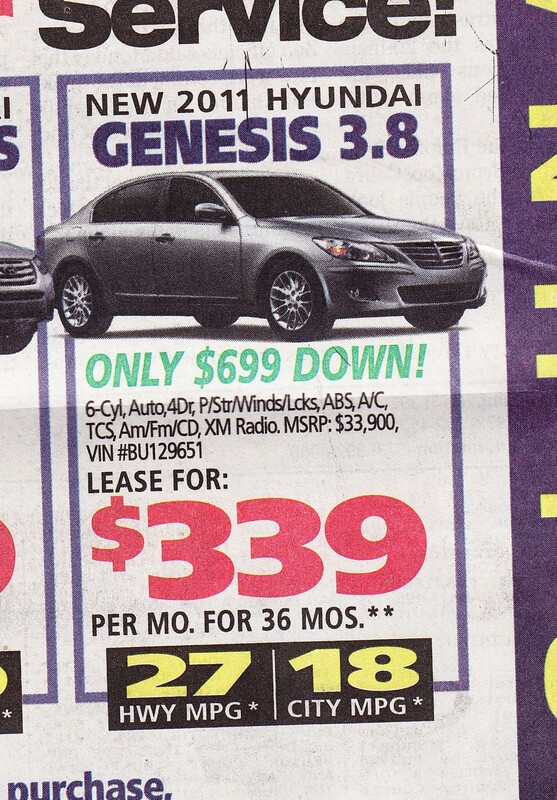 And if you’re looking for a good deal on a Hyundai, why not make it biblical? Naked man and woman hiding behind the tree, however, will cost you extra. Podcast 23 concerns the concept of atonement. Related to but distinct from sacrifice, the concept of atonement is widely utilized in the Judeo-Christian tradition. This podcast considers why the idea of God as an angry God is so prevalent, and suggests how the concept of atonement might fit in this matrix. A mourning dove sat on my front steps today. I weep for Shaunakaye Williams, although I never met her. The death of the young is tragedy defined. I did not know Shaunakaye, but I know that she was a young woman of great potential. She had discovered FIRST Robotics in Newark and died while in California at a FIRST competition. If it weren’t for the FIRST connection, her death might of remained unknown to me, but it would have been a grave loss nevertheless. Becoming a parent has been the most wonderful and terrifying event in my insignificant life. Since it has happened, I have mourned every death of a child of which I’ve heard. The words of comfort fail. FIRST is the most optimistic group with which I’ve ever been affiliated, recognizing and rewarding the potential of bright young minds. Shaunakaye was part of that family, and her loss is deeply felt. In the field of religious studies, those who would justify the actions of God in a world full of suffering are faced with a daunting task. Theodicy is the most unenviable and unsatisfying aspect of the theological endeavor. 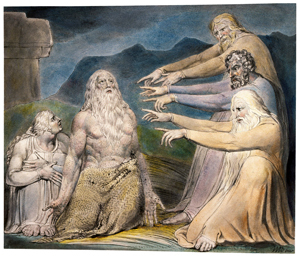 Even the stalwart author of the book of Job dared not ask the great unanswerable “why?” – there is no justification for the death of the young. Often the answer is there is no answer. Job’s friends cannot accept this truth and fabricate excuses to show that God is just. God himself affirms, however, that life is just not fair. As a race, as a species, our children are our greatest assets. Bully governors and pedophiles notwithstanding, any society that does not promote or encourage its children has already cut off its entire future. I mourn for Shaunakaye Williams, and for all those who have not been given the chance to reach their full potential. I mourn for all parents who have had to face this most terrible of afflictions. And I will never be counted among the friends of Job. Reform seems to be in the air. Its effectiveness varies from location to location, but what remains constant is the impact on religion. Or religions’ impacts on those dissatisfied with its application. As Syria begins to follow Egypt and Libya, a sense that the authoritarianism imposed by religious ideals is somehow flawed is sublimated in the news, yet clearly present. Regimes, be they Islamic, Christian, Hindu, or any other belief system, count on unquestioned authority to maintain control. Even the Catholic Church has been toying with reform – quietly, slowly – for any admission of change calls into question the authoritarian roots of power. Once that basis begins to crack, freedom has a chance to emerge. In American society where freedom has perhaps blossomed most fully, there should be no surprise that a religious backlash is underway. In many ways liberty and religion stand at odds with each other. Religions make universal claims, drawing authority from none other than the One who started it all. Freedom begins at the ground and works its way up. Humans are natural followers, flock animals. Remember, Jesus said he was like a shepherd. When the shepherds apply the crook a little too liberally, even the sheep begin to plot. In many nations of the Middle East, the faithful have been kept in poverty and subservience. The Berlin Wall, however, was in the minds of the intimidated. The United States has even backed the cause of the oppressed overseas, attempting to break up dictatorships that began before I was old enough to remember. And yet in our own backyard the Religious Right continues to make America like a western version of Syria or Libya. A nation of people under the rule of legislated morality that certain distorted versions of the Christian gospel advocate. Prevent equal rights to women and minorities by keeping the seat of power within the WASP community, although you may have to bring in some Catholics and Mormons to assist with the cause. The eyes of the world are on the Middle East, for any whiff of freedom, however faint, is cause for hope. Once upon a time, if you wanted to see a movie you had to go to a theater or wait until it ran on television. This is stretching my memory back a long way, so indulge me if I only remember that four channels existed in those days, and you had to wait years for movies to appear at a time when you could actually be home to see them. Fast forward a few years and the VCR was invented. I remember being impressed that you could actually rent movies you’d always wanted to see, within reason. If you watched them too often they wore out. Then the electronic revolution came. This is all by way of excuse for why I’ve only just started to watch movies that came out in my younger years. Children of the Corn, although critically panned, was a financial success in my college days when I started watching horror movies. When I finally watched it yesterday, I realized it was a natural candidate for this blog’s running commentary on horror and religion. What I had not fully appreciated is that the movie is a cautionary tale centering around a sacrificial cult. While the movie does have its problems, the concept of children taking the religion they hear from adults seriously runs throughout the film. Understanding gods as bloodthirsty demanders of sacrifice is a gruesome staple of all monotheistic religions. Someone’s got to die for the rest to be saved. While Fundamentalists take comfort in the substitutionary atonement of the “once for all” nature of sacrifice, in the film, the children erect crosses and sacrifice adults to “he who walks behind the rows” – a typical Stephen King kind of monster. Monster or not, the children believe he is a god. Belief is the guy-wire for religion. The reality behind that belief is open to question, otherwise multiple religions would not exist. 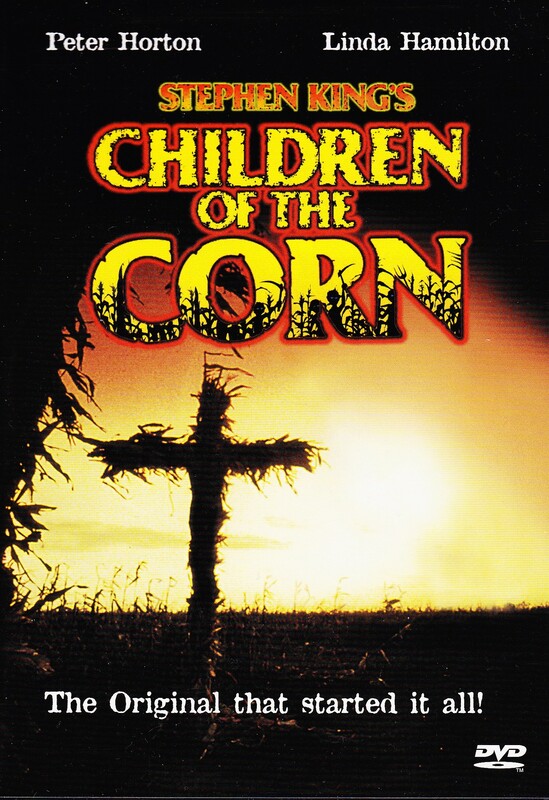 Children of the Corn confuses the issue by presenting “he who walks behind the rows” as a legitimate supernatural entity, one who is vanquished by a passage from Revelation. The truly disturbing aspect, however, is the complete, unquestioning devotion of the children. When children are raised in intolerant religions today, we are also planting corn that will lead to some unholy reaping in the future. Perhaps the message of the film was more trenchant than most critics were willing to admit back then. Today it is certainly more believable, given many religions’ demonstrations of their destructive powers. The Internet can be a window into the collective consciousness of a nation. In a world where even the Weather Channel invites comments on its forecast page, the outlook of many Americans is laid bare. This latest shot of winter weather on the northeastern quarter of the country is an excellent example. It is still March, the tempestuous month of the war god, so a little snow in the northern latitudes should come as no surprise. An unnamed dean at a state school here in New Jersey had just sent out an email blast the week before stating, with decanal authority, that there would be no more weather delays this year. Yesterday there was still snow on the ground after the storm. Frustrated citizens cursed – actually cursed – the winter on weather.com. For years I have maintained that the weather is key to understanding the human perception of the divine. From ancient Sumer’s An and Enlil through classical Greece’s Uranus and Zeus, the gods unquestionably in charge are the sky gods. The guys who control the weather. In Israel Yahweh took that job description from a reluctant Hadad – aka Baal – and many people considered this a serious mistake. Don’t mess with the weather god! As the snow begins to melt once more, even those of us in the enlightened twenty-first century should be reminded that our sense of what the world should be is an illusion. Nature evolved our brains, and now our brains think they have the right to take over. Once, back in Wisconsin, I stepped outside on a chilly June morning and saw flecks of snow in the air. It wasn’t “snowing” – it doesn’t snow in June – but there was definitely a frozen sort of precipitation hanging tentatively in the air. I was teaching at the most self-righteous of seminaries at the time, and it became clear to me, once again, that we are not in control. 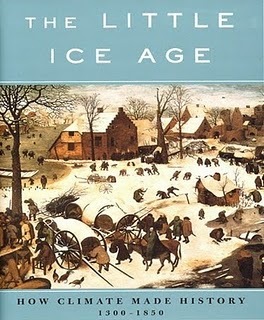 Among the scariest books I read in Wisconsin was Brian Fagan’s The Little Ice Age. I was at work on my book on weather language in the Psalms (still unpublished) and the unsettling truth drifted around me like this winter’s snows: if a new ice age settles in, there is nothing we can do to stop it. Geologists still can’t state what triggers these periodic events, or even what their timetable might be. If earth’s ice caps again begin to grow, however, I am certain that we will also see a dramatic increase in religiosity. For the gods, we all know deep down, are in the skies.